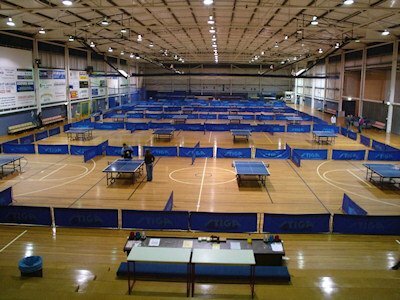 Central Coast Table Tennis Association (CCTTA) Inc.
Our club is located in Narara, 1 hour north of Sydney, NSW, Australia. 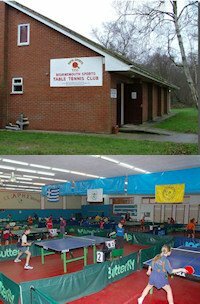 The club was first formed 1952 and has continued non stop to the present day with currently around 150 members and 22 tables. We play on 2 basket ball courts of the local sporting facility every Thursday night. Our member's age range from 11 yrs to our more seniors of mid 70's. We have recently hosted the Australian Open, NSW Open and Country events. We have a well maintained web site www.cctta.com that offers photos and videos of recent events. 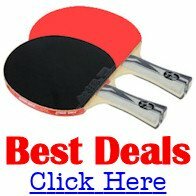 This site is our contact with our members for club comp results, upcoming events etc. The results table allows our members to view their progress by team and personal ranking for the current competition.